Dr. Nobs Mwanda is a mother, wife, social entrepreneur and the CEO of Community-based Prevention and Empowerment Strategies in South Africa (COPESSA), a social profit organisation that focuses on the prevention of child abuse and neglect through the building of safe, secure and caring communities for the children. She founded COPESSA in Soweto in 2004 after a very short stint in private practice. 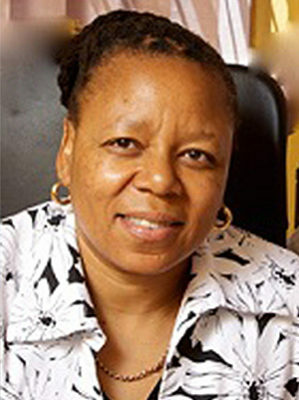 She has pioneered the use of the ‘Ecological Model’ for the holistic prevention of this scourge, and consequently, has received a few awards in recognition of her innovations, which include the prestigious 2011 Shoprite Checkers Women of the Year, in the “Good Neighbours against Crime” category and theAshoka Fellowship. Born in the rural Eastern Cape, she qualified as a medical practitioner from Wits University, in 1988 and subsequently did her Master of Science degree in Community Paediatrics, from the same university. She is a Fellow of the fourth class of the Africa Leadership Initiative-South Africa and a member of the Aspen Global Leadership Network.